Our OAI duct to air cleaner hose is an exact duplicate of the original. Featuring the original style fiber/cloth material with the correct steel wire reinforcement. Sold as two 4" X 36" pieces. Correct reproductions of the duct hose to inner fenderwell brackets. Sold per pair. 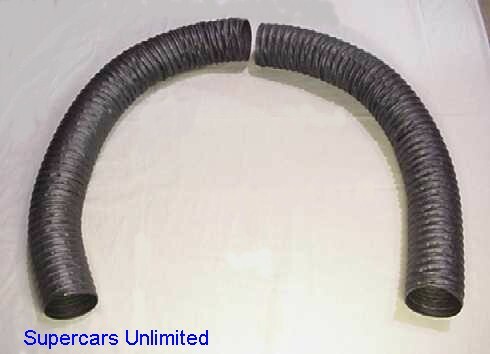 Correct reproductions of the duct hose to air cleaner clamps as used on all 1968-1969 applications. Sold per pair.